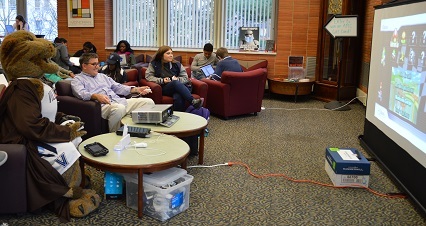 Stress Busters, an open house sponsored by Falvey Memorial Library and the Villanova Electronic Enthusiasts Club, was held on Dec. 10, from 1 to 6 p.m. Soft pretzels, hot drinks, games, Star Wars themed coloring books, cootie catchers, a floor puzzle and a special appearance by Will D. Cat were featured. 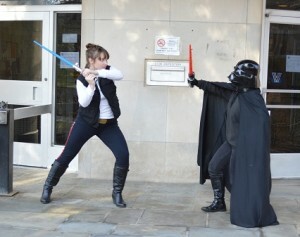 In keeping with the Star Wars theme, Han Solo (Sarah Wingo, liaison librarian for English and Theatre) and Darth Vader (Michelle Callaghan, Communication and Service Promotion team graduate assistant) attended the open house and also roamed the campus inviting students to the Stress Busters open house. 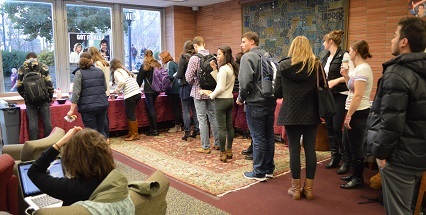 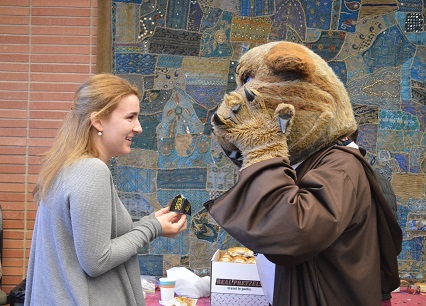 On Friday, Dec. 11, Stress Free Happy Healthy Hours were held from 10 am until 4 p.m. in room 205 in Falvey. 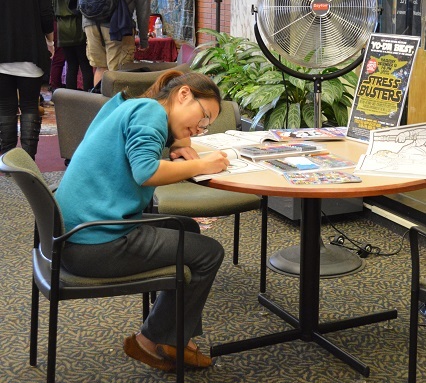 Each hour featured a different activity, such as grown-up coloring books, making your own stress balls, snacks and drinks. From noon until 2 p.m. visiting therapy dogs were available for petting.